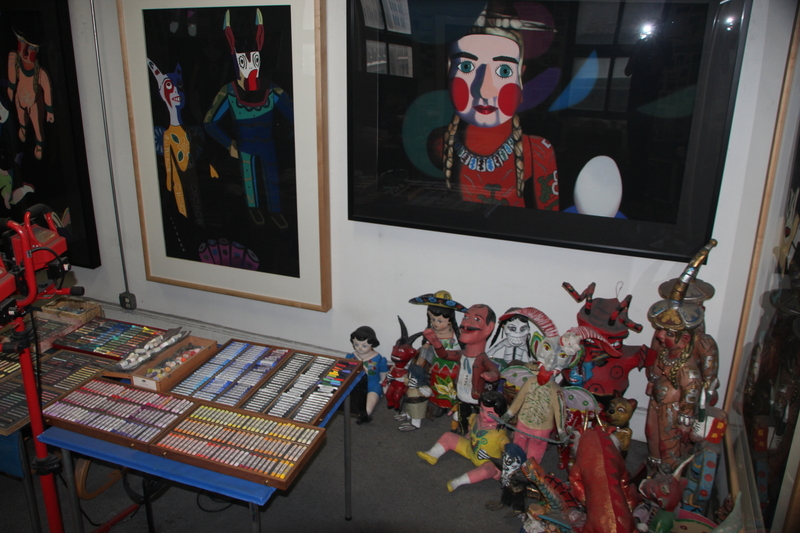 Posted on July 19, 2014, in An Artist's Life, Art Works in Progress, Black Paintings, Creative Process, Guatemala, Inspiration, Mexico, New York, NY, Pastel Painting, Photography, Studio, Travel, Working methods and tagged "What medium is this? ", 20" x 24" photo, 220 film, accounts, analog, apply, approximately, artist, ask, believe, blend, camera, carved wooden animals, choose, closely, color, colors, complete, consists, creative, cultural objects, decide, decisions, developed, directly, easily, everything, exactly, figures, film, fine art, fingers, finished, foreign, heavy, image, intense, labor intensive, layer, layers, leads, lighting, limits, look, Mamiya 6, Manhattan Photo, masks, mix, order, originals, painting, paper mache, pastel-on-sandpaper, photograph, piece, planning, process, pushing, ready, reference, rethinking, roll, sandpaper, self-invented, setting, ship, shooting, slow, soft pastels, start, Studio, subject matter, tables-worth, technique, thousands, toys, travel, using, viewers, vivid, West 20th Street, work. Bookmark the permalink. 2 Comments. What a incredible amount of time you put into your work and may I suggest looking into the Nikon D 800 for taking photos of your work – it’s a great camera for that type of work .